A stunning tribute to the music of one of the greatest performers and singers of our time. Featuring highly acclaimed vocalist Micki Consiglio, who delivers a powerhouse and uncanny performance as Cher. Baked by World-class musicians, backing singers and plenty of theatrics, this is a must see show for any Cher fan. Keeping true to the live productions heard and seen in Cher’s spectacular shows, this tribute id bringing the Cher experience to the UK. 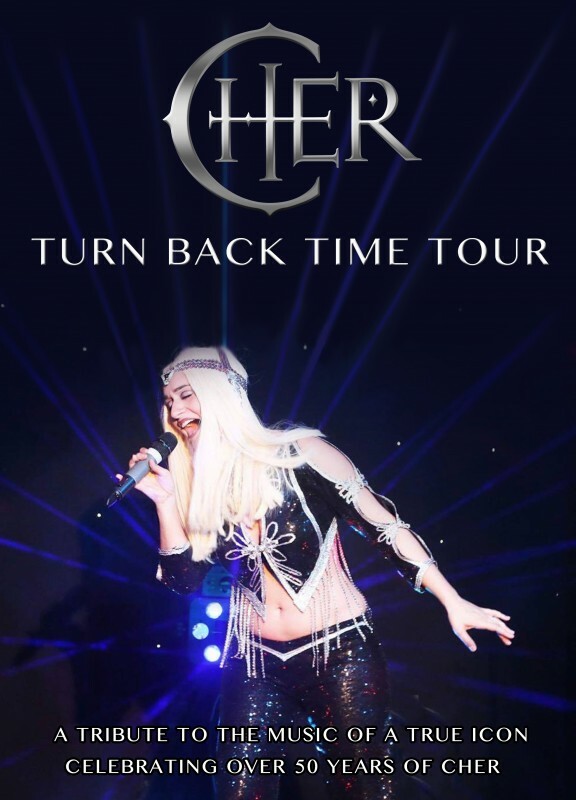 Expect all your favourite Cher hits including: I Got You Babe, Gypsies Tramps & Thieves, Strong Enough, The Shoop Shoop Song, I Found Someone, Dead Ringer For Love, Jessie James, Believe and of course If I Could Turn Back Time.